NOTE: Most of the Gundam franchise I talk about can be found on Hulu or Crunchyroll. Everything else, good luck. In a recent Anime Crackers podcast, we started to talk about mecha anime and why one of the podcasters couldn’t jump into it. This led to her asking me, with all my anime knowledge, what Gundam series I would recommend. Before I tell you my recommendation, let me talk about mecha animes first. 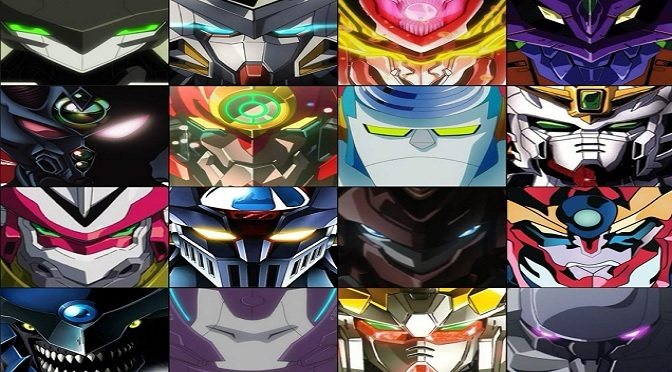 For me, I enjoy mecha animes. I love the robots and the fact that they fight with them, but for me I love the plot lines the most. To me, mecha animes are animes that include giant robots but aren’t necessarily about the giant robot fights. 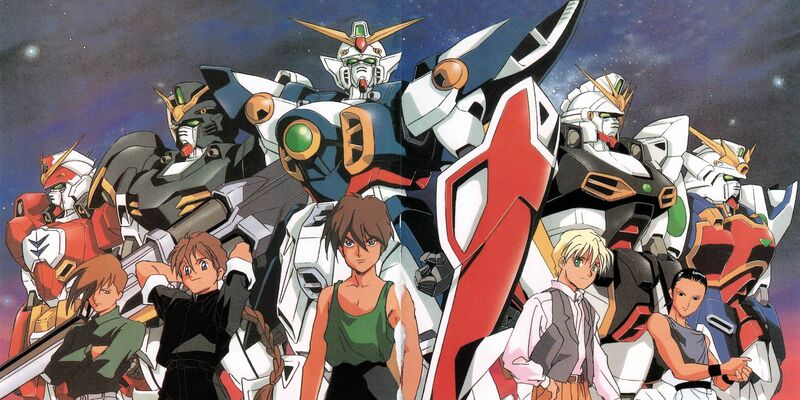 My first mecha anime that I can really remember was Gundam Wing and I know that anime isn’t for everyone. If you’re not into a show that is heavily political and such, Gundam Wing (and a good chunk of the franchise) probably won’t be a good starting point for you. But for me, it was great just because it gave me a lot of meat to grab onto! I’m the type of person who enjoys a good, fleshed out plot. Something that doesn’t end too quickly or drags on too long, and for me Gundam Wing was that. Didn’t hurt that some of the lead Gundam pilots were pretty cute and your typical problematic bishie boys. But like I said earlier, it was VERY political. The backstory before the “iconic” 5 pilots show up is that, deep into the future mankind has colonized space and has space colonies across the moons and such. Back on Earth, the nations decided to unite and create a new alliance called the United Earth Sphere Alliance. Sounds like an okay thing until the UESA used their military powers to oppress the space colonies. So naturally, the space colonies rebelled and united under a movement led by Heero Yuy, who was later killed. His death led 5 scientists to go rogue and essentially create the 5 Gundams that were piloted by 5 young men who were trained to lead the new rebellion against the UESA. Obviously, I’m simplifying a lot of this story for the sake of article space and for those who are either new or I’m trying to convince them to get into Gundam, but hear me out. Even with my very simplified, possibly dumbed down, synopsis of Gundam Wing, you can tell that is a lot of plot and a lot of politics. And probably from that, you’re probably expecting a lot of epic mecha fights that will have you on the edge of your seat, freaking out, and whatever. Yes and no. For those who aren’t fully down with mechas, when they watch a mecha anime, like Voltron: Legendary Defender or something of the sort, they expect some massively epic battle of giant robots but instead get something predictable and lackluster. To that I say, try not to come in with huge expectations. Treat mecha animes as you would with any other anime because it’s not different from magical girl or shounen anime minus the transformation sequences or 15 minute/3 episode long power ups. It’s been about 5 episodes or 4 minutes DBZ time. Mecha animes don’t necessarily mean guaranteed epic battles 24/7. It’s just an anime that has giant robots in it. There is still typical anime plot, drama, romance, depth, character development, etc. and the robots are a pretty good plot device to help enhance and push a plot along. Yeah, there are some dope robot battles that make you cringe or jump, but it’s not always. Like I was telling my friend and fellow podcaster, when I watch mecha animes, I see the robot fighting as a replacement for a round of fisticuffs or sword fighting. The characters in question have the buildup or back story as to why they shouldn’t be allies, you see them develop individually, they interact and there is some sort of beef, then they argue, and in the end they get in their robots of choice and duke it out. In a silly way, this can kinda be seen in a lot of animes that involve fighting, but for the sake of the article I’m seeing Gundam series, Voltron, and Zoids. For me, when you can figure out how to become invested in the plot, you can become comfortable with the Gundams or whatever robot someone is piloting. But that’s just me, I’m a Plot-Thot™. All in all, I know not all genres aren’t for everyone and Gundam Wing is a lot to take in for beginners, for the most part, so I offer a suggestion: Mobile Fighter G Gundam. A good chunk of the Gundam series in the franchise is pretty heavy in politics and can feel like it drags on, but G Gundam isn’t like that at all. Unlike the other series, it has a plot all its own that is not influenced or weighed down by the others, and not heavy into the politics and military stuff. G Gundam is about the space colonies of Future Century that have a tournament every 4 years to determine who has the right to govern over the colonies until the next tournament. Epic elections if you ask me. Each colony represents a country so for example, lead character Domon Kassu represents Neo Japan. This series focuses less on political and military dynamics and more on martial arts and personal battles between competitors. You still get the “Gundam feel” but it’s a lot more digestible than other Gundam series. Even how they pilot their mechs are different. Instead of just hoping into a typical cockpit with a helmet and gauges, they have to form a bond and get a skin-tight suit instead. The Gundams are controlled by a “Mobile Trace System” which allows the Gundam to mimic the pilots every move versus the standard physical controls of other Gundams or mechs. In G Gundam, you get what you would expect with mecha animes. You get the giant robot fights that are epic and cleaver; there are sword fighting gundams! You get plot development and character development because there is a lot more to this year’s tournament than meets the eye. It’s a good starter series if you’re ever curious about the Gundam franchise and it’s a lot mellower, but just remember it’s not the standard for Gundam or mecha animes in general. Mecha animes vary across the board. The Gundam franchise set a standard that some think all mecha animes are like that. Nope, there is variety. 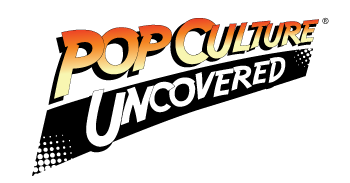 Not all are heavily political or military based, You can find others like the Zoids franchise, Neon Genesis Evangelion, Eureka Seven (kinda political, but stay for the love story), The Vision of Escaflowne (OMG, A CLASSIC), Blue Gender (tread lightly my friends), and sooo many other goodies in the mecha anime genre that aren’t so heavy in politics or military stuff. Just remember, you don’t have to commit to a series on day one. Give it at least 2-3 episodes, take a break if you gotta, and try again. If it’s not for you, it’s not for you. Just don’t write it off because of one series or franchise.